The girls were then invited up to their onsite laboratory where they were able to participate in an interactive scientific experiment led by Danielle Griffin, Senior Manager of Gene Therapy. Danielle works closely with Dr. Rodino-Klapac as head of research operations. 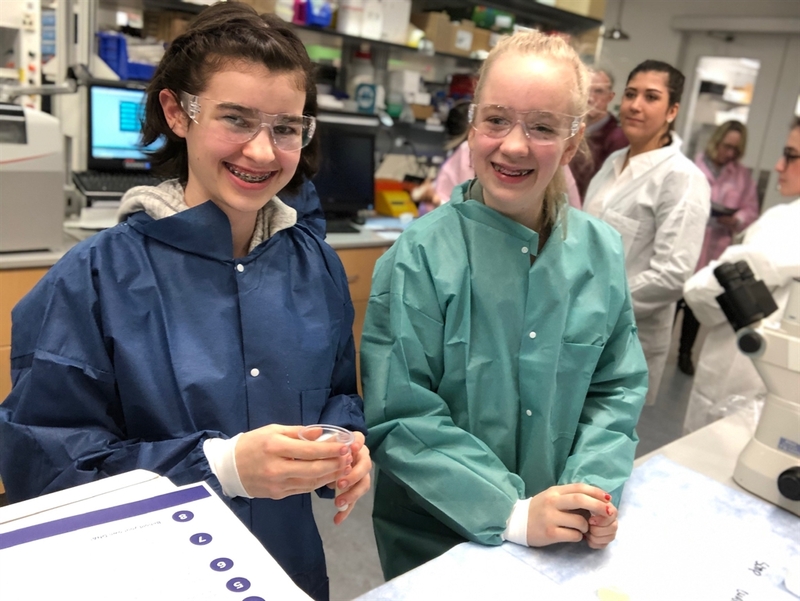 After donning lab coats and protective eye gear, girls moved to independent lab stations set up so that the girls could extract and purify DNA from their cheek cells. Then they were invited to view and discuss the differences they saw between normal and diseased muscle tissue. Following the lab experiment, the girls returned to the conference room and each participant received a book about Dr. Rodino-Klapac’s scientific inspiration, Rosalind Franklin.